One of the largest styles of two bedroom home you will find, just 7 years old and situated on the popular Berryfields development within easy reach of the Aylesbury Vale Parkway train station and beautifully presented. 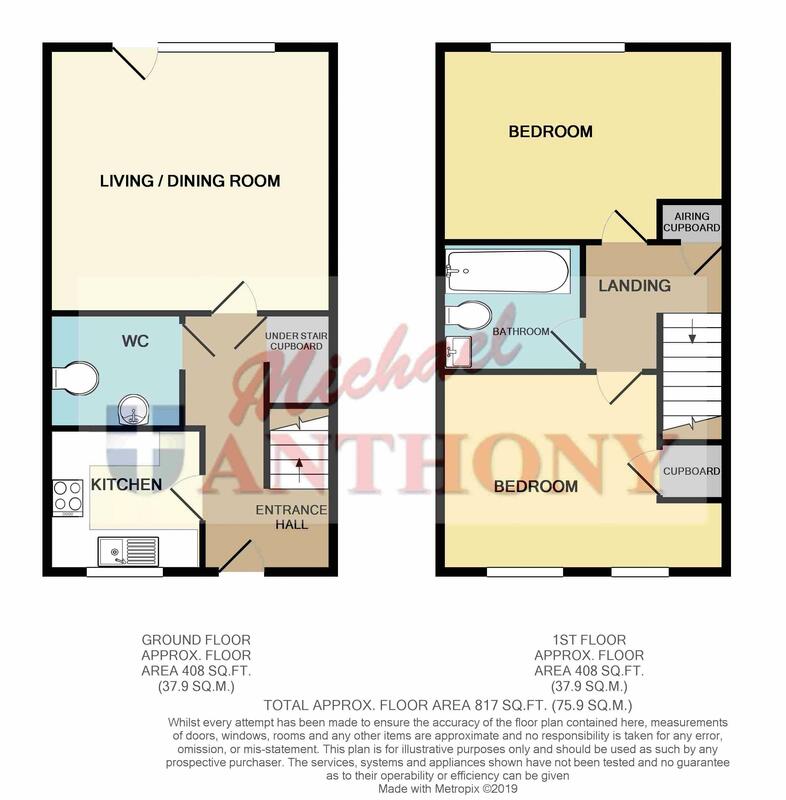 Accommodation comprises entrance hall, cloakroom/utility room, kitchen, lounge/diner, two large double bedrooms, bathroom, enclosed rear garden, allocated parking. A must see, call Tanya to view. Laminate flooring, stairs to first floor, understairs cupboard, doors to kitchen, lounge and cloakroom/utility room. Low level w.c. pedestal wash hand basin, space for washing machine, radiator. Double glazed window to rear. Two radiators, door to rear garden. Double glazed window to front aspect. Range of base and eye level units with work surface over, one and a half bowl single drainer sink unit with mixer tap, space for dishwasher and fridge/freezer, integrated oven and gas hob with extractor over, kickboard heater. Access to loft space, radiator, door to airing cupboard doors to bedrooms and bathroom. Double glazed window to front aspect. Radiator, storage cupboard. Low level w.c. pedestal wash hand basin, bath with shower attachment, heated towel rail. Mainly laid to lawn with patio area, garden shed, gated rear access.